TORBIO was an original in every sense of the word. 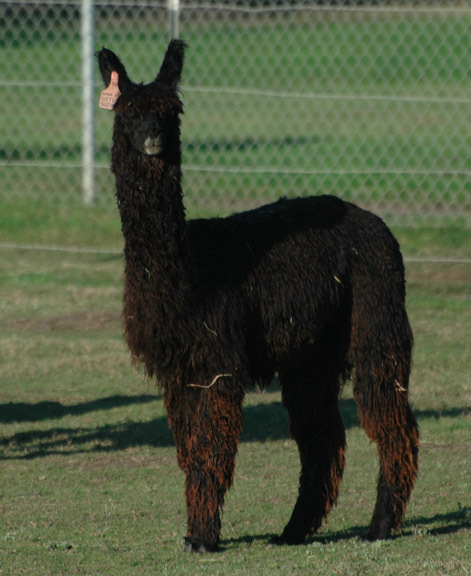 He was one of the original Accoyo Suri herdsires hand-picked by Don Julio Barreda and introduced to the U.S. by Nola Graham. He was the "REAL THING"! Torbio had tremendous presence. He was very proud of himself, and although he was smallish in stature, he commanded the respect of all the other males in the pasture. He was also one of the last males to survive from that importation, finally succombing to mortality at 21.5 years old. Even at his advanced age, Torbio had a bright glint in his eye, and a spring in his step. He is best known for his ability to pass his outstanding traits to his progeny. 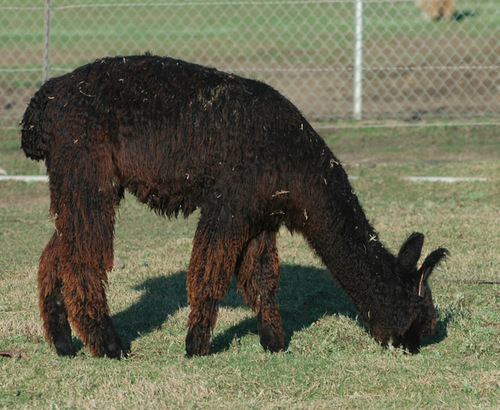 Even on his last day, Torbio's fleece had blinding luster and that greasy feel that we all strive for. He has reproduced himself over and over, with well over 200 offspring registered. 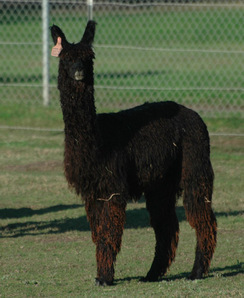 He produced champions in the show ring until July of 2011, throwing his luster, lock and density with great regularity. In 2006, Our Peruvian Accoyo Rockstar won Suri Herdsire of the Year, and his Pop, Torbio, took Reserve Suri Herdsire of the Year! Those are powerful genetics! Wake Up Little Suzie is a beautiful girl whose breeding days are behind her. We're sad to lose her genetics, but she is adorable and deserves to be loved by somebody. 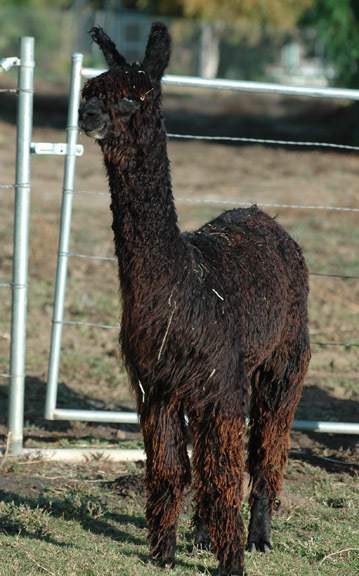 She is in excellent health, loves to eat treats from your hand, walks well on a halter, and if you like fleece, she has some gorgeous, slick, lustrous black fleece. We hope you will take her home and love her well.